Saturday, 23rd February, was the English National Cross-Country Championships. Billingham Marsh House had nine Juniors competing over four different age groups. This race was held at Harewood House, after holding a successful Northern Cross Country Championships last year. The course was ran on the vast land of Harewood House’s grounds and proved to be very challenging for all runners, with the start being up a tough 200m hill, which meant the races spread out quickly. It was very undulating course with lots of twists and turns. The conditions underfoot were good and surprisingly for a cross-country race, there wasn’t really a need for spikes, although many runners chose to wear them. There were many difficult sections on the course, with it being called one of the hardest courses in the National Cross Country history. In the u13 boys, Fraser Allan ran superb, to easily finish in the top half of the field- coming 155th out of 408 runners. In the u15 girls, we had 3 runners who all ran great races. Helena Keane being the first BMHH to cross the line, with Jess Dawson next and closely followed by Amelia Insall. 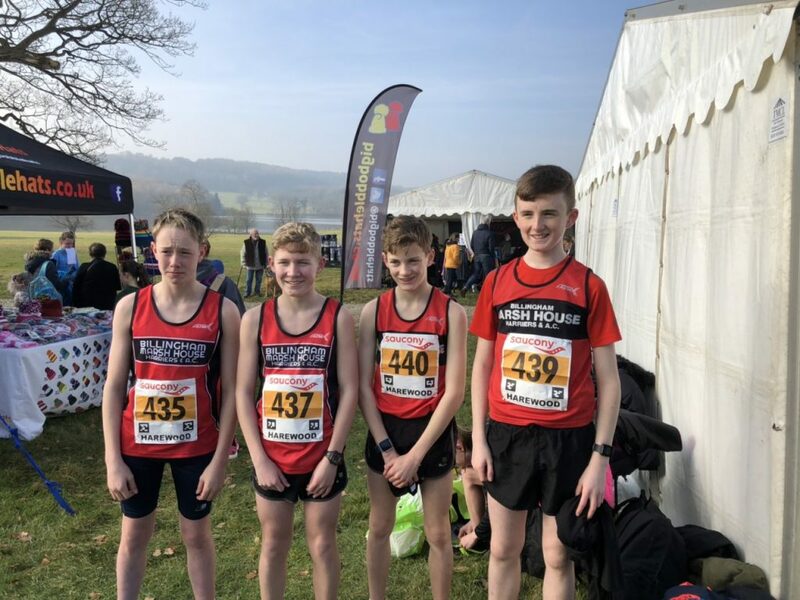 In the u15 boys there were some very strong performances with BMHH coming away with 26th in the country in the team competition. Rohan Teasdale finished strongly in 121st, followed by Max Butler in 168th. The third counter for the team was Ben Hodgson finishing in 226th and Lewis Reed came home in 265th out of 344 competitors. Finally, in the u17 girls, which was the first race of the day, Rebecca Dawson ran well against a very strong field of competitors. Overall, it was very successful day for the club, with all our runners giving 100% and running to the best of their ability.